May 1945. Somewhere in Germany. Only a few days before the capitulation. Seven Hitler-youth, who’ve been stuck into Wehrmacht uniforms, are deployed to defend a bridge of no strategic significance, equipped with nothing more than a few carbines and bazookas. Abandoned by their senior officer, helplessly torn between a thirst for adventure and a confused belief that they must save the Fatherland, they take up the futile struggle just as the American tanks roll in. 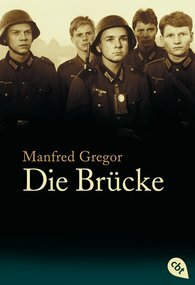 The Bridge, which achieved worldwide success as a book initially, followed by the equally successful film version directed by Bernhard Wicki, is a memorial to a duped generation that was sent to the slaughter in the final days of World War Two.